In honor of tonight’s final episode of SMALLVILLE , here’s some SUPERBOY Bronze Beauties, including a few that tie into the television series. 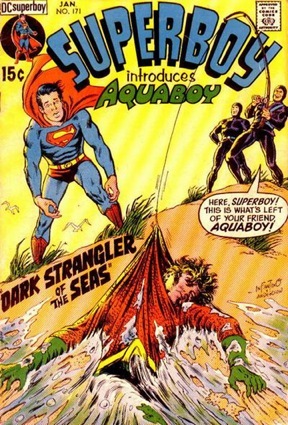 Superboy was created by (appropriately enough) Superman co-creator Jerry Siegel and made his first appearance in MORE FUN COMICS #101 in 1945. 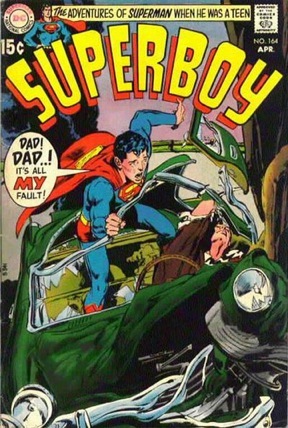 The tales were light-hearted adventures of a young Clark Kent donning the red, blue and yellow costume to help his Smallville classmates get out of jams such as rigged soapbox derbies and poorly-attended birthday parties. The character moved to ADVENTURE COMICS in 1946, eventually earning his own titular title in 1949. 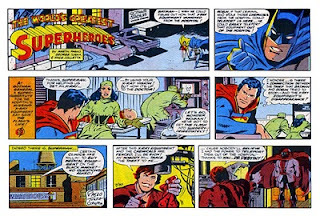 Over the years, Superboy aged into a teenager and his stories got bigger and more cosmic, no more so than when he met the Legion of Superheroes from the 30th Century (in ADVENTURE #247 in 1958). 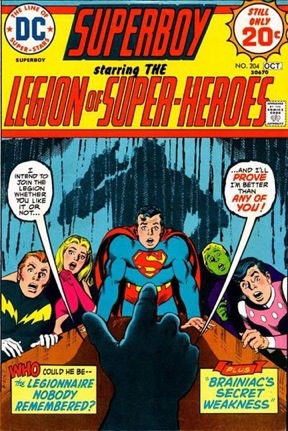 The Legion eventually proved so popular that they first shared, then took over the comic from Superboy, leaving the Teen of Steel floundering without his own book until 1980. 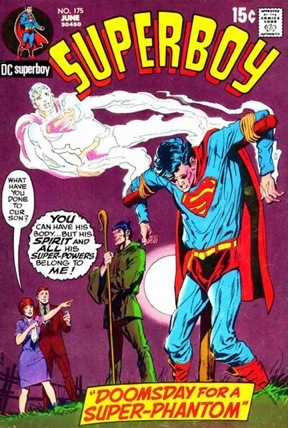 In the late 1980s, after John Byrne’s MAN OF STEEL reboot eliminated Superboy from the mythos (having Clark first put on the costume as an adult), new Superboy s have been introduced into the DC Universe. Only last year, in Geoff Johns’ masterful SUPERMAN: SECRET ORIGIN (the latest “definitive” origin of the Last Son of Krypton) was the original Superboy reintroduced into the canon. In a respectful nod to other media’s influence on the character, Johns incorporated elements from SUPERMAN: THE MOVIE as well as SMALLVILLE into his version of the story, affording the decade-running TV show a level of respect not shared by most fanboys (due to its many liberties taken with the legend). 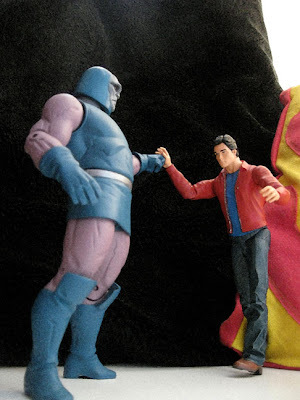 While I agree that SMALLVILLE ran at least four seasons too long, I accept it on its own terms, as a sort of “Elseworlds ” version of the story in which Superman took longer than every other member of the JLA to appear (rather than inspiring them in the first place). And while I certainly have my beefs with the show, its portrayal of Clark Kent / the Blur / Superman (as of tonight, anyway) is not one of them. The writers stayed true to the spirit of the character, solidly embodied by Tom Welling. For that, I thank them. 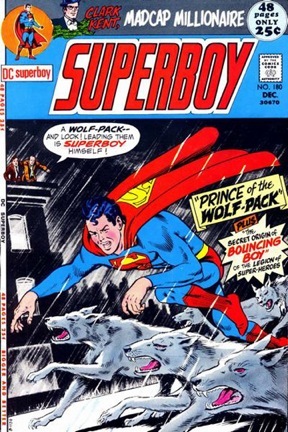 I also have a particular soft spot in my heart for SUPERBOY because the first cover below was my very first comic book; My father knew that I really liked Superman (due to the Filmation cartoons of the late 1960s) and grabbed a comic book for me as an impulse on the way home from work one day in 1970. 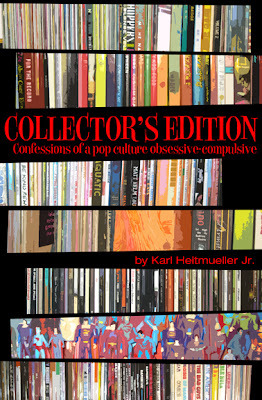 And Pandora’s Box was opened. 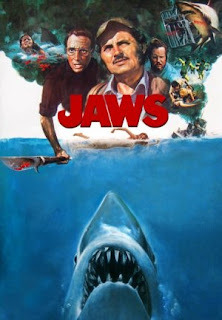 I realized the other night that I never did a BB entry for any of the four big superhero movies coming out this summer, and so the feature has again been resurrected, at least through the summer (but probably beyond). Kicking things off, here’s some covers for Marvel’s God of Thunder, the Mighty THOR! 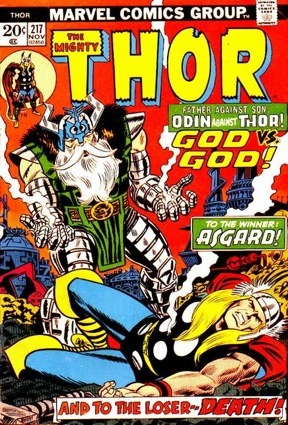 Thor was introduced in JOURNEY INTO MYSTERY #83 in 1962, created by Stan Lee with Larry Lieber and Jack Kirby as a mixture of Norse mythology and Superman (in the early years, Thor appropriated some of the Kryptonian’s sillier powers like super-ventriloquism and freeze-breath). 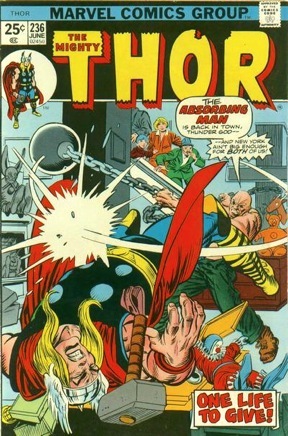 Thor was one of the rare Marvel Comics that actually got better after Lee and Kirby left the title. 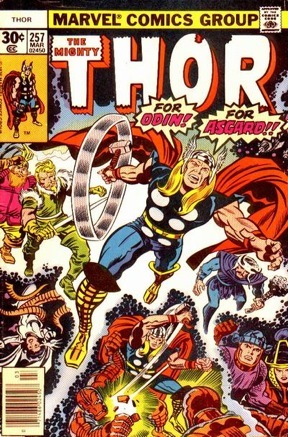 A series of stalwart Marvel Bullpen writers, including Gerry Conway, Len Wein and Roy Thomas worked with the quintessential Thor artist, John Buscema to build one of comics’ most expansive (and at times befuddling) milieux. 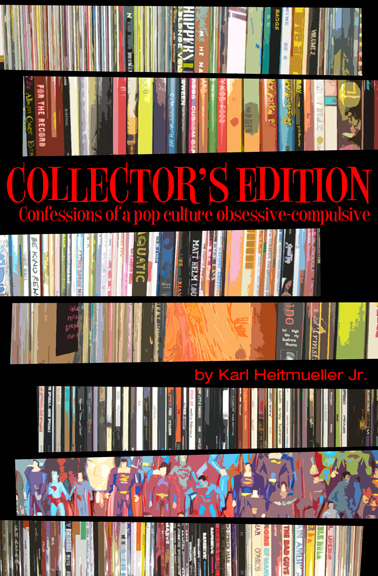 Thor was never one of my favorites, but as with most comics of that era, these covers feature a mixture of elements (I love that logo) that grab my id and twirl it like Mjolnir (see the movie, you’ll understand). 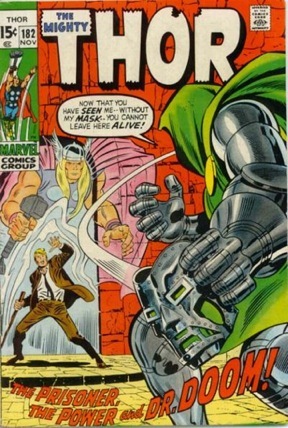 Unlike most Marvel Comics, THOR often used posing pin-up style covers that were more akin to DC’s style (something that I, as a DC nerd, always appreciated).